To get rid of your bankruptcy from your credit reports depends on the type of bankruptcy. Salt Lake City bankruptcy attorney will answer your questions. Bankruptcies remain on credit reports for quite a while, but this is not acceptable for everyone. Chapter 7 bankruptcy and Chapter 13 bankruptcy remain on credit reports for 10 and 7 years respectively, but there is a way to remove them from your credit history sooner. Today, we invited our Salt Lake City Chapter 13 bankruptcy attorney from the JMM Legal to answer this question and outline how bankruptcies can be removed from credit reports sooner. First and foremost, how soon you may be able to get rid of your bankruptcy from your credit reports depends on the type of bankruptcy we are talking about. Under federal and state laws in Utah, credit agencies are allowed to report Chapter 7 bankruptcies for 10 years from the filing date, while Chapter 13 bankruptcies remain on your credit reports for seven years. But this does not necessarily mean that you will have to wait all these years to get rid of bankruptcies from your credit history prepared by a credit bureau. But to answer the above-mentioned question, it is imperative to understand the difference between Chapter 7 and Chapter 13 bankruptcies. Chapter 13 bankruptcy is commonly referred to as a wage earner’s plan or a reorganization bankruptcy. In other words, this is the most optimal bankruptcy option for debtors with a more or less regular income. After filing for Chapter 13 bankruptcy, debtors set up a plan to pay back a portion or the full amount of what is owed. Chapter 7 bankruptcies, on the other hand, do not come with a plan of repayment. After filing for Chapter 7 bankruptcy, a debtor’s property and assets will be divided into two categories: exempt and nonexempt. Properly and nonexempt assets will be sold to cover the debt as much as possible, while the remaining portion of the debt will be discharged. How to remove bankruptcies from credit reports sooner? Even though bankruptcies remain on credit reports for a minimum of seven years, in no way does it mean that there is nothing you can do to improve or build your credit. While it may be possible to remove Chapter 13 or Chapter 7 bankruptcy from your credit report, do your best to pay all your bills on time or even before the due date and avoid accumulating new debt during this period. 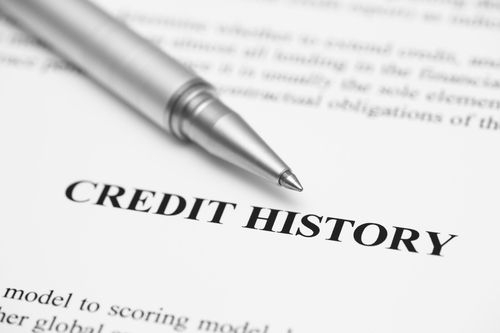 These two factors have the biggest impact on your credit rating after filing for bankruptcy. But arguably the best way to improve your credit score after filing for bankruptcy is to remove Chapter 13 or Chapter 7 bankruptcy from your credit report sooner than 7 or 10 years respectively. To do this, you might require the legal advice of a Salt Lake City Chapter 13 bankruptcy attorney, who will check the accuracy of all the bankruptcy entries with all the credit reporting agencies. In many cases, this is the best way to remove bankruptcies from your credit report sooner, because if there is any inaccuracy, it can be disputed with the credit rating agencies. If the disputed bankruptcy entry cannot be verified by the credit agencies, they are required to remove it. Speak to our experienced bankruptcy attorneys in Salt Lake City and elsewhere in Utah by contacting the JMM Legal. Call our offices at 1-801-505-9679 or fill out this contact form to get a free consultation.